And that's not the only problem turning up in apartments that are supposed to be refuges for people who'd otherwise be on the streets. Chris Glorioso reports. Taxpayers are paying more than $1,000 a month to house a formerly homeless woman and her children in a Bronx apartment plagued by rodent and insect infestations, NBC 4 New York's I-Team has learned. The rental assistance, funded by tax dollars, is intended to help keep homeless families out of shelters, but Frieda Harris says the inspection process used to approve apartments for occupancy is flawed because she landed in a unit with a laundry list of health hazards. "No one is thinking of the children," Harris said. The formerly homeless mother says the last straw was walking into a room last month and finding a rat biting her 3-year-old daughter's face. "I put the lights on. There's a rat on her face. Literally, his teeth are clenched in the right side of her cheek," Harris said. The day after the alleged rat bite, Harris' daughter developed a 104-degree fever. Hospital records show doctors were concerned she could have contracted Leptospirosis, a rat-borne illness that recently killed a Bronx man. Harris' daughter recovered and no link to Leptospirosis was confirmed. The I-Team is not revealing the Harris's building's address, because she is a domestic abuse survivor. Her landlord did not respond to I-Team requests for comment. The city's Human Resources Administration pays Harris' rent with a voucher under the Living in Communities (LINC) program for homeless families. David Neustadt, an HRA spokesman, said his agency learned of Harris' complaint about hazardous conditions on Feb. 24. The agency ordered an inspection four days later and on March 1, the day the I-Team first inquired about the apartment, HRA agreed to transfer the mother and her two kids. That inspection turned up violations for vermin, mold, lead paint and other hazards. Data provided by the New York City Department of Health and Mental Hygiene. Rat inspection numbers are for the 2016 calendar year. "When Ms. Harris informed HRA about conditions in her apartment, we inspected it, the next day approved her transfer," Neustadt said. "New Yorkers deserve to live in safe homes," he added. But six months before city inspectors deemed the unit was safe. In July, an initial inspection of the apartment turned up no evidence of vermin. Steven Banks, who manages LINC as part of his role as head of the HRA, said those initial inspections are conducted by another city agency, the Department of Housing Preservation and Development. "Those buildings that we move people from the LINC program into are inspected by HPD, which is a terrific partner for us," Banks said. Juliet Pierre-Antoine, a spokesperson for HPD, said housing inspectors have been to Harris' unit several times since the initial inspection, but each time the unit was cleared for occupancy. 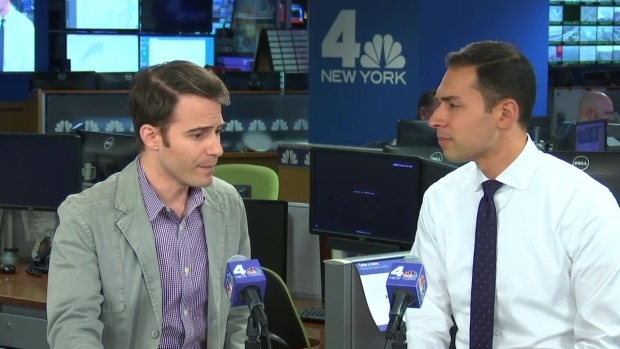 NBC New York's Stefan Holt and Chris Glorioso discuss the city's efforts to combat rats in pockets of New York that are infested with disease-carrying rodents. "HPD has returned to the apartment five times since August to perform inspections, twice in 2016 and three times in 2017. A vast majority of the issues were corrected in a timely manner," Pierre-Antoine said. Although Harris and her children have now been approved for a transfer out of the apartment, the family has yet to find a new landlord that will accept her LINC rental voucher. By law, landlords are not allowed to discriminate against tenants who rely on rental assistance. Despite that, statistics show fewer than half of the people who qualify for LINC vouchers actually end up using them. According to the HRA, between 2014 and October 2016, 25,000 homeless households qualified for LINC rental vouchers. Of those households, just 10,000 actually used rental vouchers, the agency says. Harris fears slumlords feel emboldened to ignore health hazards because there are so few who accept the rental assistance. "People are moving into these slumlord buildings because only these slumlords are taking these vouchers," she said. "They know they can get the money from welfare."